It’s that time of year where a sweater is just too warm, but a shirt alone leaves me chilled. And that is exactly why the Black Forest Wrap was created. 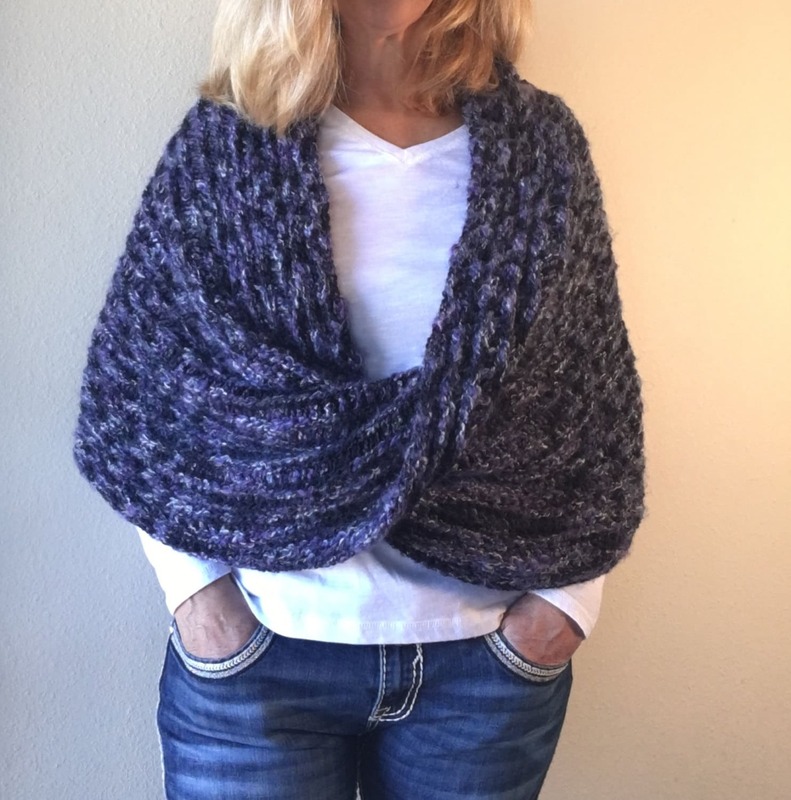 I needed a comfy, cozy wrap that would look good and keep my shoulders warm. 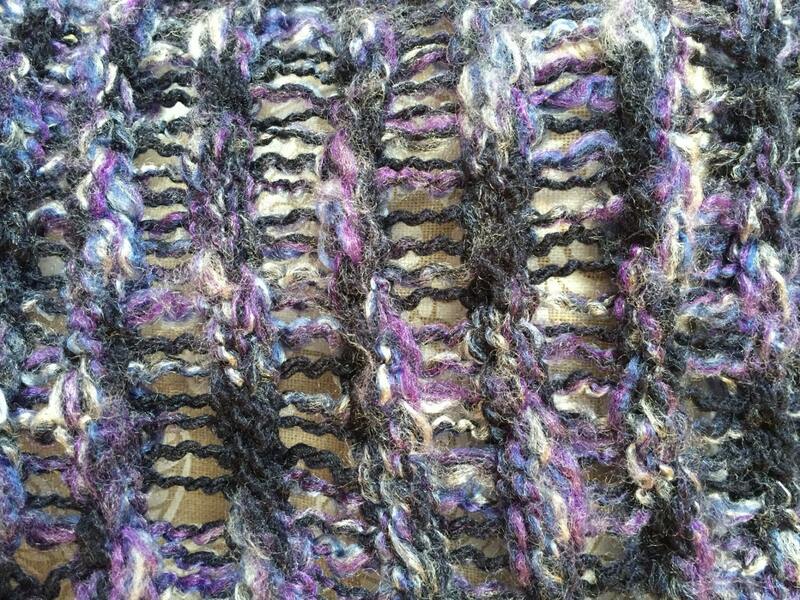 This wrap is double knit on Authentic Knitting Board’s 28” knitting board. The sample used 745 yards of Red Heart Artesano yarn in Moonstruck, but unfortunately this yarn has been discontinued. 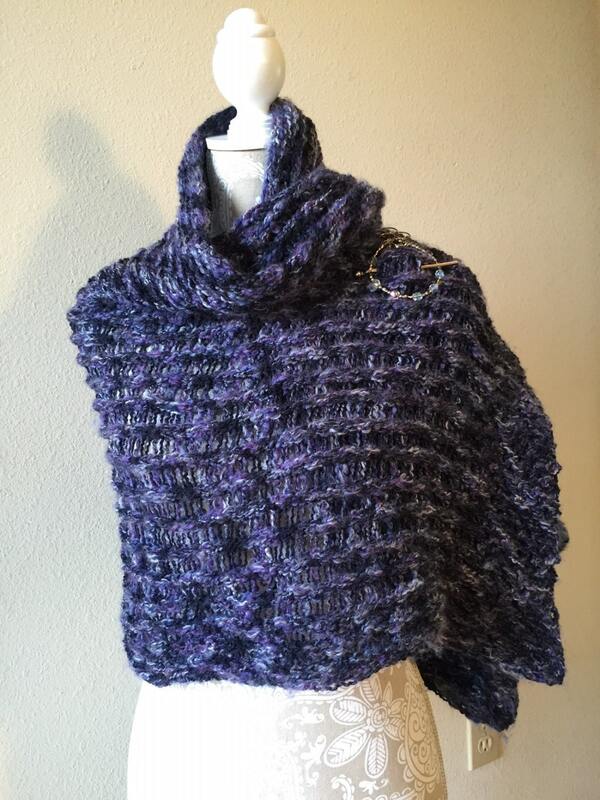 I honestly think any medium worsted weight yarn that has a soft touch and flowing drape would look beautiful. 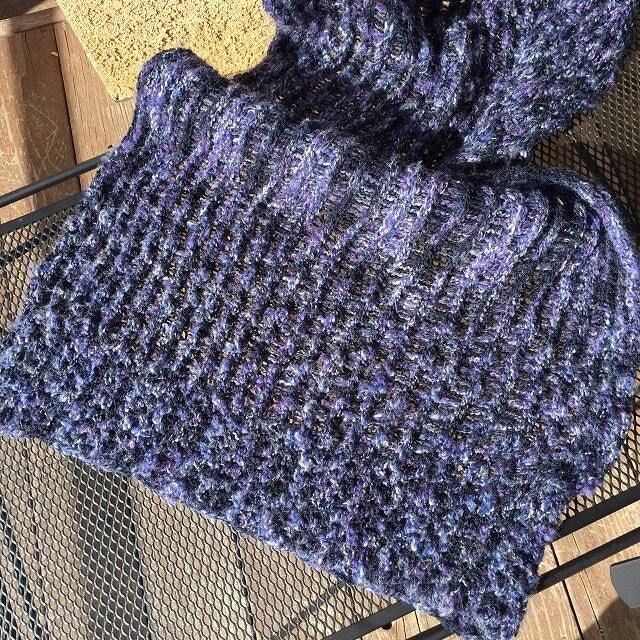 In fact, I think a solid color would do a much better job at highlighting the different stitches and textures of the wrap than the yarn I chose. The pattern includes a picture tutorial of the stitch wraps. As such,the pattern is suitable for an advanced beginner. A basic knowledge of double-knitting on a knitting board would be helpful.